J.K. Rowling fleshed out the American corner of her wizarding world in Fantastic Beasts And Where To Find Them, which will in turn be expanded into a quintet of films by Warner Bros. 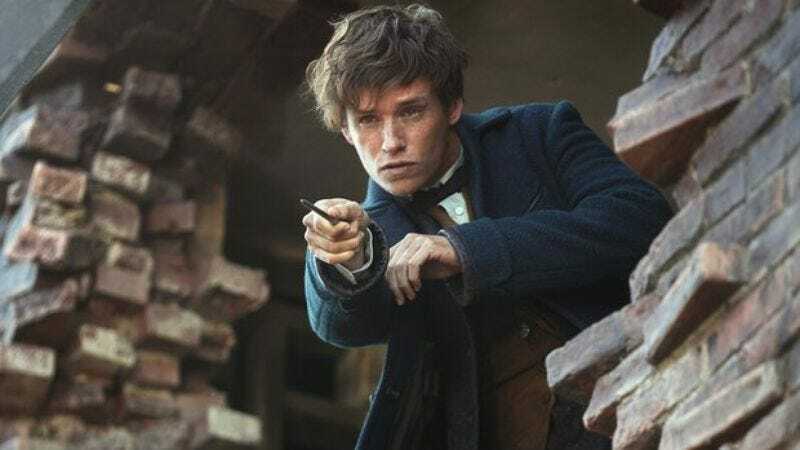 The first film in the series stars Eddie Redmayne as Newt Scamander, a magizoologist and author of the eponymous field guide to fantastical beings. In pursuit of the fantastic beasts that have been let loose, Newt will have to contend with No-Majs (Stateside Muggles), a powerful dark wizard, and the Director Of Magical Security (Colin Farrell). Luckily, he’ll have some help from Porpentina Goldstein (Katherine Waterston), a magic user of great conviction but low rank. Fantastic Beasts is due out in theaters on November 18, but The A.V. Club is giving our readers a chance to see it early and for free at the Showplace ICON theater on Monday, November 14 at 7 p.m. To enter to win a pair of passes to the film, just follow this link and enter your contact information. Remember: Advance screenings are often intentionally overbooked, so be sure to arrive early if you want to secure a seat.